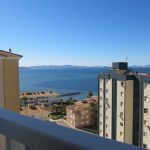 This stylish, modern apartment with sea views is just the right property for you if you are looking to keep the winter blues at bay and enjoy some sun! 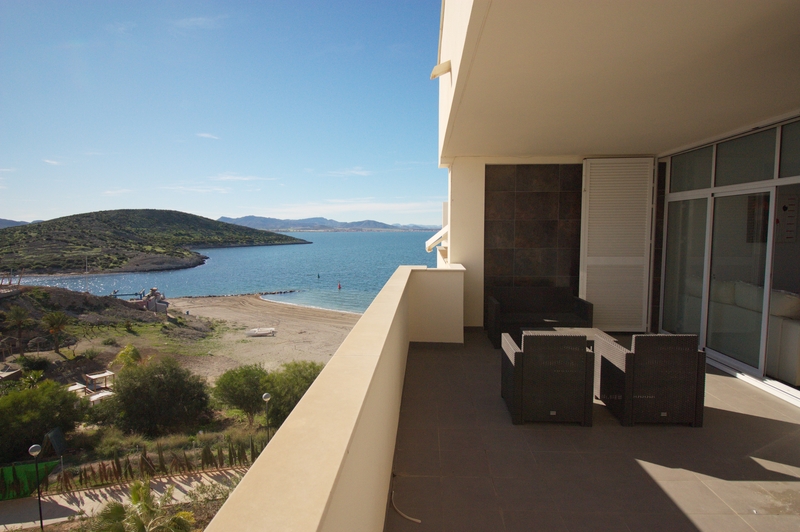 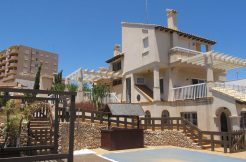 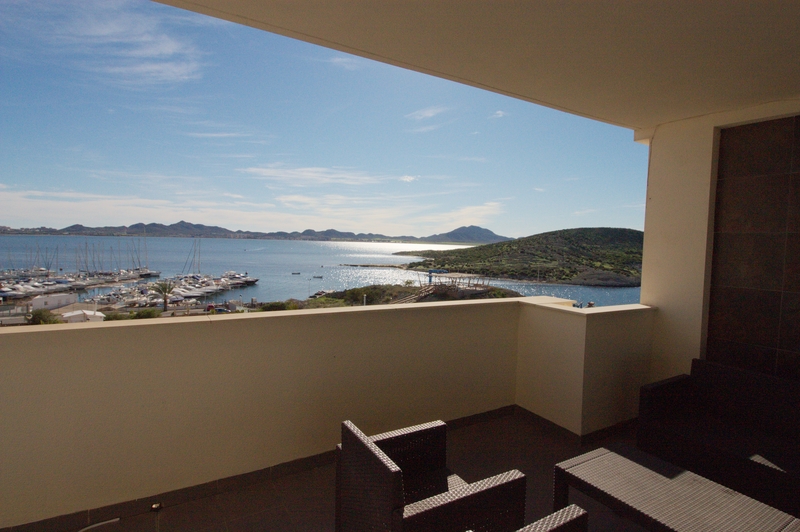 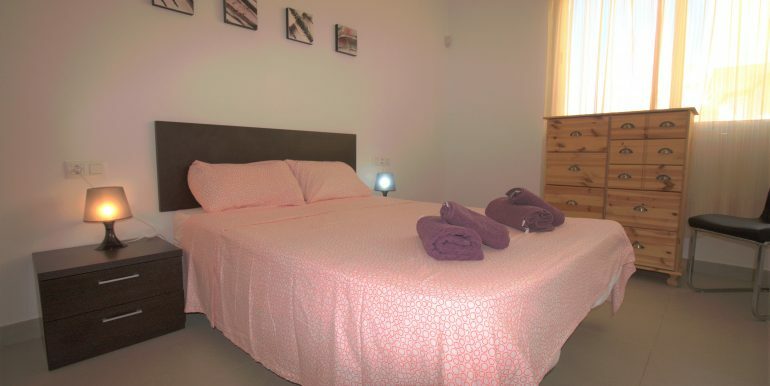 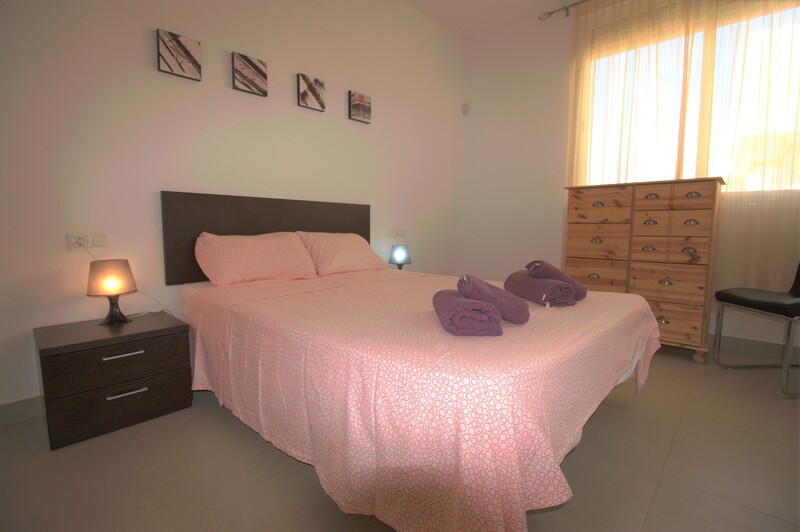 This two-bedroom / two-bathroom property is located in front of “El Ciervo” Island. 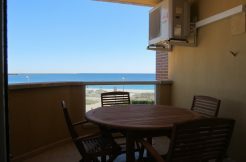 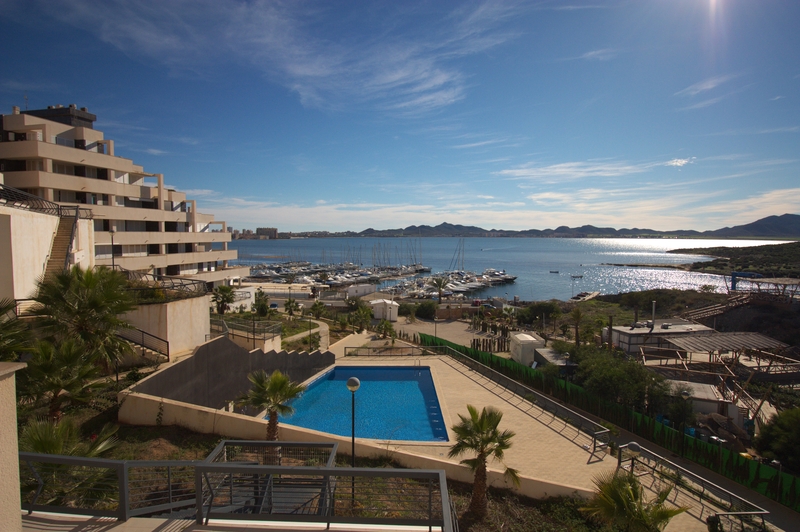 From its terrace, you overlook the Mar Menor and the marina, with spectacular sunset views over the sea! 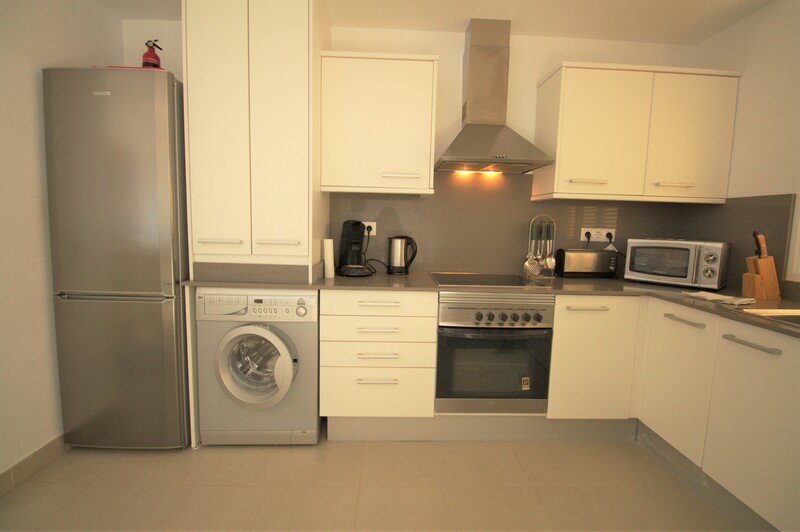 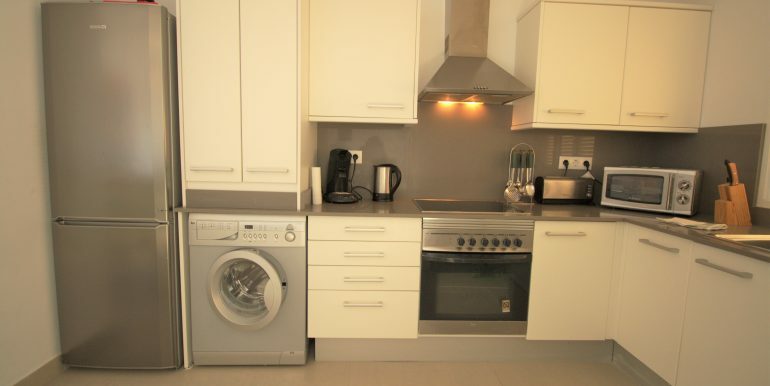 This modern fully furnished property has an ample living room with dining area and an open plan, fully fitted kitchen. 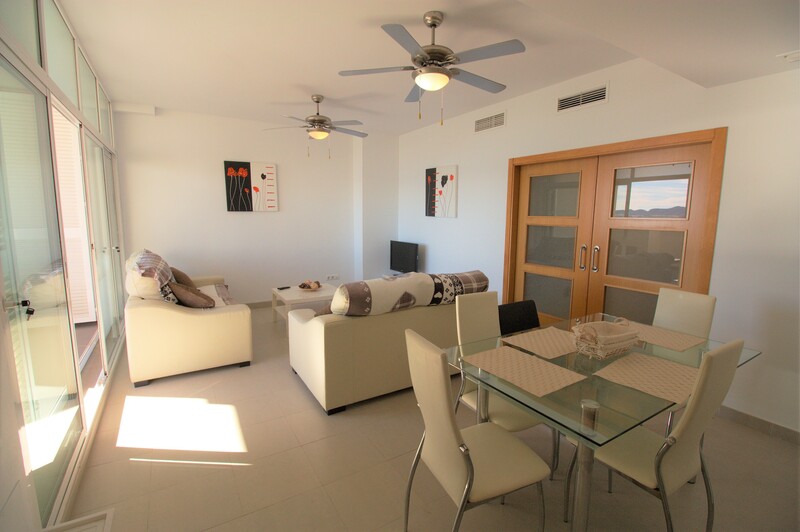 There is ducted air conditioning throughout and it is being sold as seen, with all fixtures, fittings and furniture included. 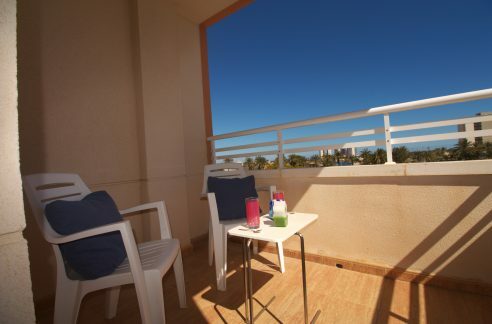 The ample terrace is south facing where there is plenty space for dining and lounging about on sunbeds. 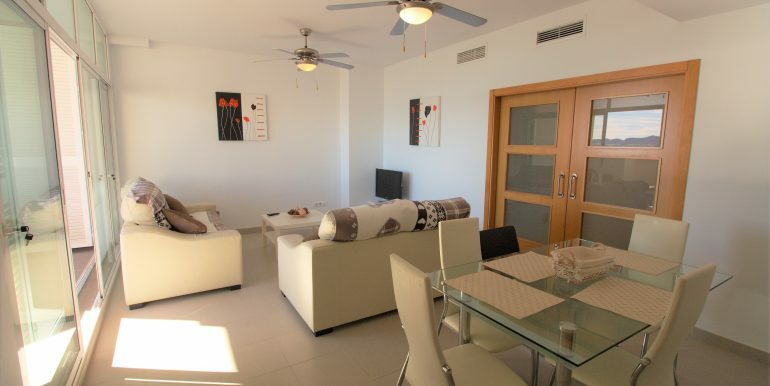 The property is lovely and bright and benifits greatly from plenty of natural light. 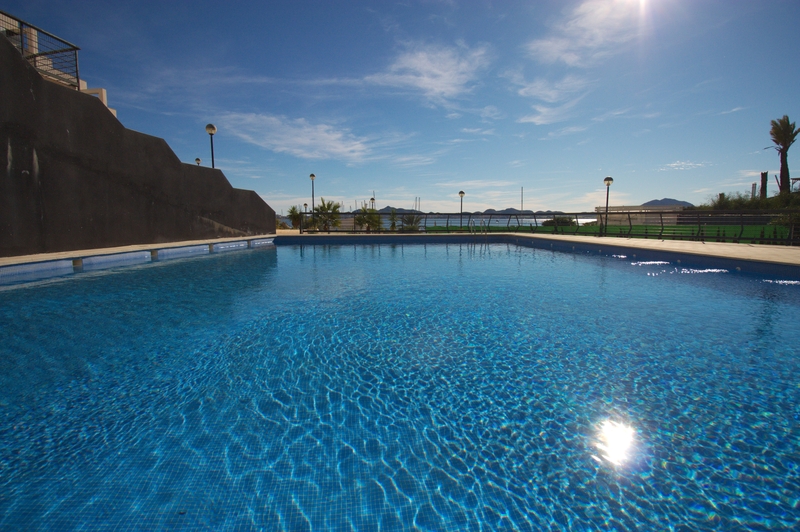 As part of an urbanization, owners and their guests have the use of a communal pool, just in front of the Mar Menor. 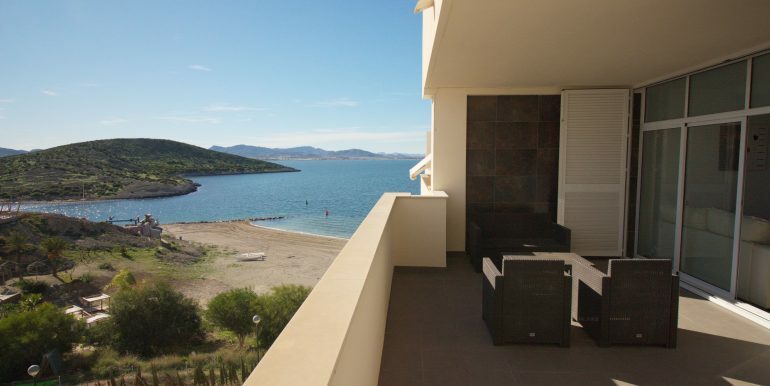 The closest beach is less than 200 metres away and an ample variety of restaurants are just a stone’s throw. 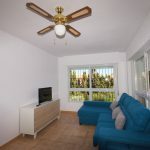 In the area, there are also bars, supermarkets, chemists’ and the famous Plaza Bohemia, known for its night-time street market in the summer months. 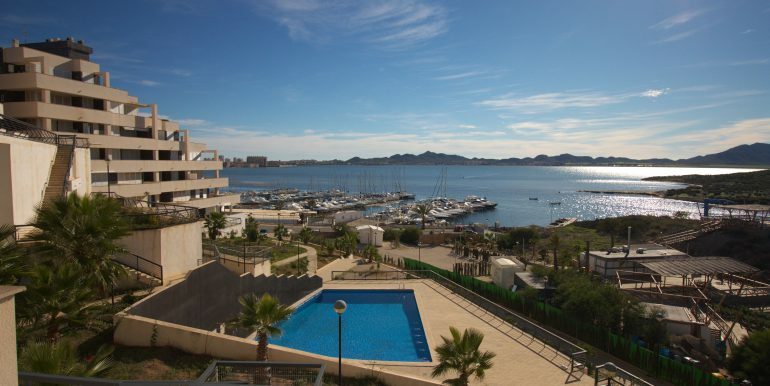 The traditional fishing village of Cabo de Palos is also easily found -less than 10 minutes’ drive, as well as bigger cities, such as Cartagena or Murcia -less than 40 minutes’ drive. 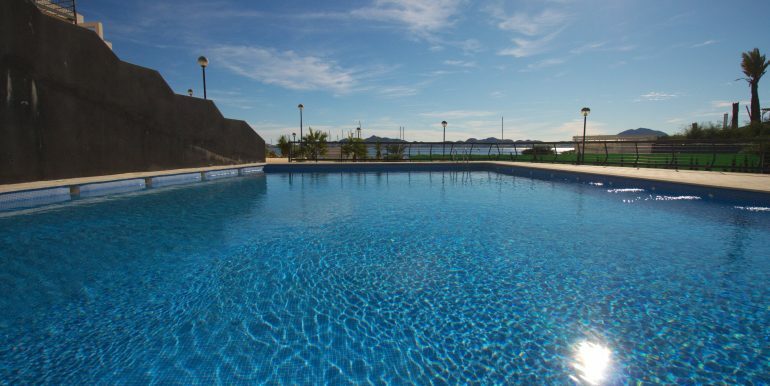 The closest international airport is in San Javier (MJV), just 40km away. 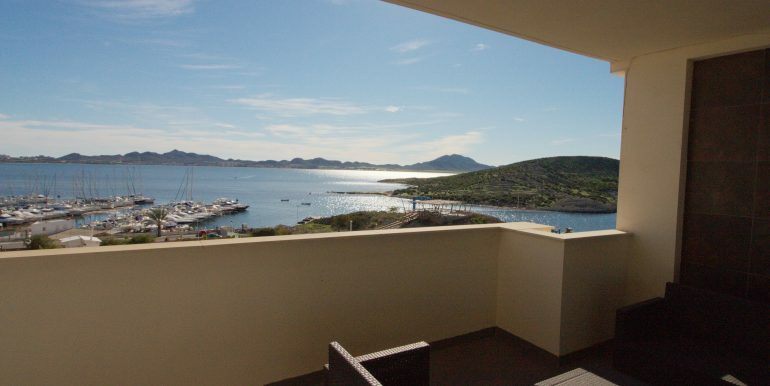 Excellent opportunity to purchase at a great price!